My practice is located on Seaview Road just north of the Henley Square Precinct. The rooms are purpose-built for my practice, so that we have the resources to provide you with high-quality and professional care. We pride ourselves on being family friendly, and so there is easy access for strollers. The practice is easily accessed by patients with special needs. We have reserved disabled parking, as well as wheelchair access, and no steps. I also make consultations available to my patients at the Calvary Consulting Suites within Calvary Health Care North Adelaide. 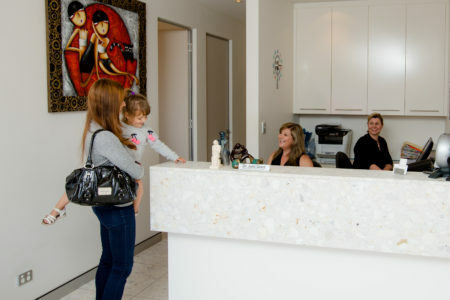 We can arrange an appointment at these suites if you prefer to be seen in North Adelaide.